FOUR THOUSAND revs/kWh?!? That's incredible! 5 amps @150V aren't much though... kind of limits the total consumption. And I thought 10 amps @220V was a small service (seriously saw that once, ancient service). Interesting to see 150V gear though, Austria must have used that voltage once too. It are a lot of revs per kWh. I have seen old 220 Volts 5 Amp AEG meters with even more revs like 4800. 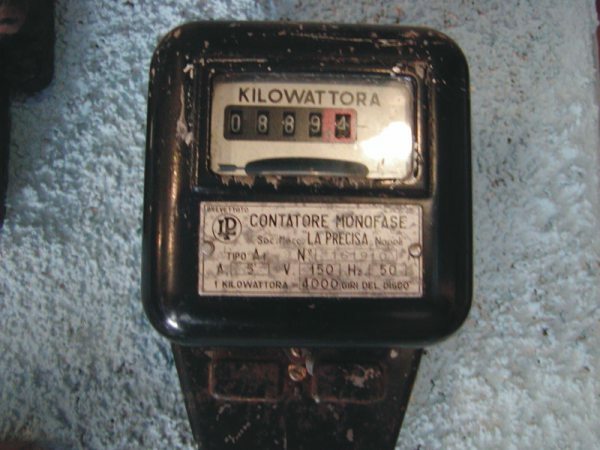 Italy had in remote areas the voltage of 150 Volts single phase and 260 Volts 3 phase.